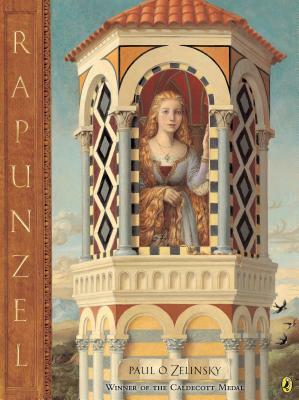 Award winning author/adapter/illustrator Paul O. Zelinsky's Caldecott Medal Winning book! Perfect for readers of all fairy tales. Jacob Ludwig Karl, the elder of the brothers Grimm, was born in 1785, andWilhelm Karl in the following year. They both studied at Marburg, and from 1808 to 1829 mainly worked in Kassel as state-appointed librarians, Jacob also assisting in diplomatic missions between 1813 and 1815 and again in 1848. Both brothers had been professors at Göttingen for several years when in 1837 they became two of the seven leading Göttingen academics dismissed from their posts by the new King of Hanover for their liberal political views. In 1840 they were invited by Frederick William IV of Prussia to settle in Berlin as members of the Academy of Sciences, and here they remained until their deaths (Wilhelm died in 1859 and Jacob in 1863).